This book could not have come at a better time. Lately, Diego has been struggling with bad dreams. He actually says they are nightmares and it really worries me! No one likes to have bad dreams that feel so real. The worst part of our situation is that Diego thinks that what goes on in his beautiful head while he sleeps is all his doing. Therefore, when something bad happens, he thinks he has caused it. Well now we can turn it around! Good Dream, Bad Dream: The World's Heroes Save the Night/Sueño bueno, sueño malo: ¡Los héroes del mundo salvan la noche! by Juan Calle and Serena Valentino is a perfect book for Hubby and me to read with Diego. We always turn to books to help us start conversations with our boys. Our seven year old loved it too because he really is into comics, can read in English and Spanish, and is going through the exact same situation as the main character, Julio. We are all learning that children like Julio and Diego have bad dreams. But at Julio's bedside, his papá comforts him and tells him that anyone can summon mythic avengers to conquer their fears. Every culture has its own historic champions who can vanquish scary creatures or villains. And as Julio's father introduces those heroes, Julio learns that his imagination is very powerful and can turn his bad dreams into good ones. Illustrating the world's iconic defenders in a vibrant comic book style, this bilingual (Spanish) story has global appeal. Facing the ancient Egyptian Ra and Greek archer Artemis, to the Asian Monkey King and futuristic Giant Robots, those monsters under the bed and in the closet don't stand a chance! The book leaves an excellent opportunity for curious minds who want to learn more! 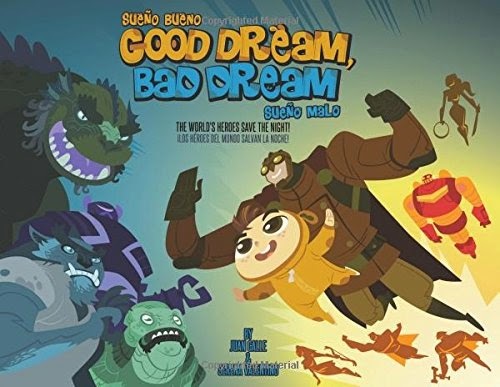 If you are looking for a good bedtime story, Good Dreams, Bad Dreams/Sueño bueno, sueño malo is perfect. 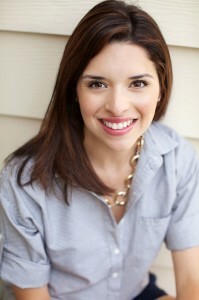 Here at Mommy Maestra we really believe that books are great conversations starters for lots of important topics. Dreams shouldn't just be brushed off! Bravo to Juan Calle and Serena Valentino for understanding children and showing just how important and powerful their dreams can be! My 5 year old son loves this book! We read it a couple times a night. He picks out a different 'Good' character to be while we read.